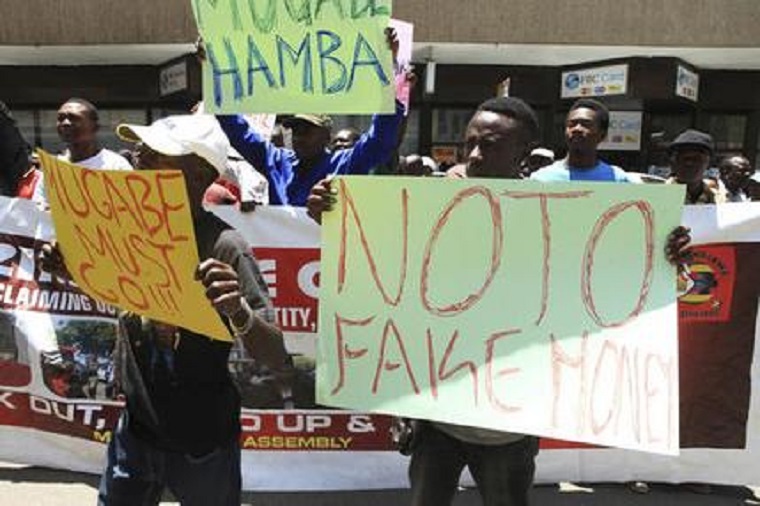 The Reserve Bank of Zimbabwe (RBZ), and its principals, are solely responsible for the most extensive and sustained drain of wealth and destruction of people’s welfare in Zimbabwe’s colonial and post-colonial history. Between 2004, (when Gideon Gono took over as governor of the central bank) and early 2009, the RBZ engaged not only in desperate activities to keep a collapsing regime in office, but implemented massive programs that drained wealth from the people, funnelling all of it to a semi-military regime that has over the years transformed itself into an unchecked ruling class. Because of the irresponsibility of the ever-hungry elite who are in fact insatiable bottom-feeders, all these resources literally went down the rabbit-hole, creating hyperinflation never heard of in modern times and consigning the Zimbabwe dollar to the graveyard of such similarly mismanaged currencies. The effect: Zimbabwe’s economy was ravaged, drained of foreign exchange, and left in the intensive care unit. It is clear to sane minds that the massive transfer of wealth from the people and businesses to satiate the lifestyles of the elites was done by Gono through the printing of money, which happened continuously during his time at RBZ. After printing money, Gono would deploy bags of cash in the streets to buy off all remaining hard currency. He had plenty of runners who would offload ‘Changani’ bags of Zimbabwe dollar cash in the streets, bring back hard cash while enriching themselves through arbitrage and looting. A friend recalls going into the then RBZ head of the Financial Intelligence Inspectorate, Evaluation and Security (FIIES), Mirirai Chiremba’s office at the time, and not being able to see the wall because there were stakes of bearer cheques from the floor to the ceiling. Remember the case of (the late) Jonathan Kadzura – one of Gono’s runners, who was also an advisor to the RBZ? When illegal currency dealer Dorothy Mutekede, also Kadzura’s girlfriend, was caught with the bearer cheques, Gono, RBZ and ZRP frustrated the case which was being presided over by chief magistrate Mishrod Guvamombe by disposing of the $10 billion exhibit recovered before it was brought to court.